This Lightfoot LCC D/A knife from Microtech was made in October 2002 and is serial number 8220. This rare knife was acquired through a collector. It is in excellent condition. The action is strong and lockup is superb. This knife includes the original box and paperwork. 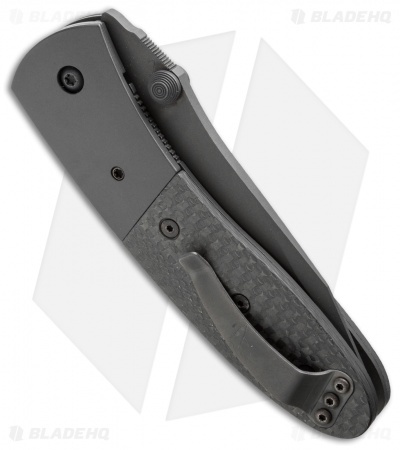 Pictured above is the actual knife for sale. 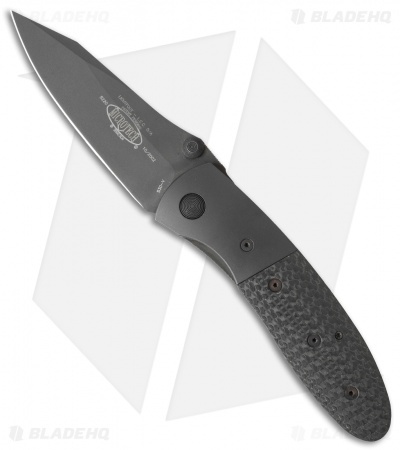 Microtech Lightfoot Compact Combat LCC dual action knife. 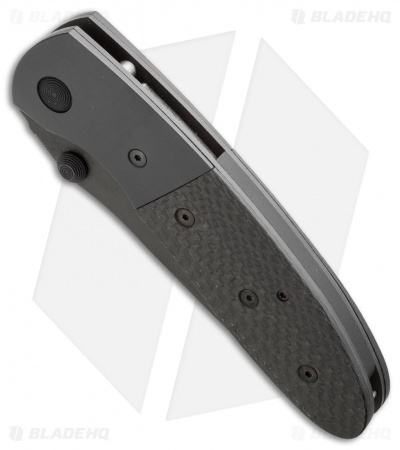 This LCC handle features carbon fiber scales and tactical bolsters. The blade is S30V steel with a black finish. The blade is deployed using the dual thumb stud or hidden scale release. Includes pocket clip with Lightfoot logo and Microtech nylon sheath.